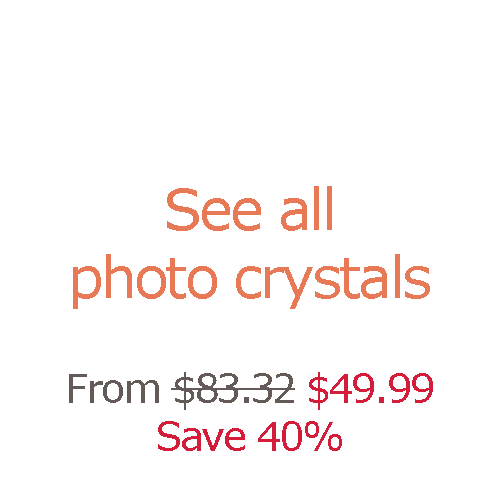 Celebrate weddings or anniversaries with heart photo crystals. 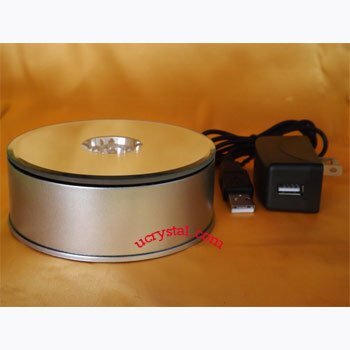 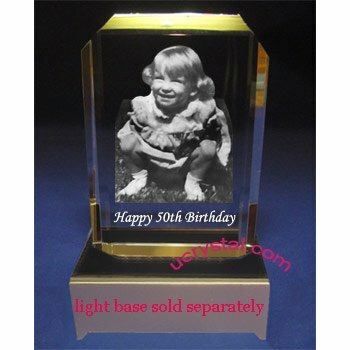 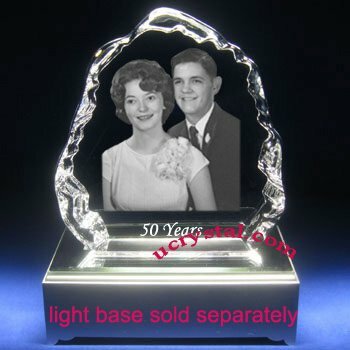 They are specially crafted as engraved photo crystal wedding and anniversary crystal gifts or Valentine's Day gifts. 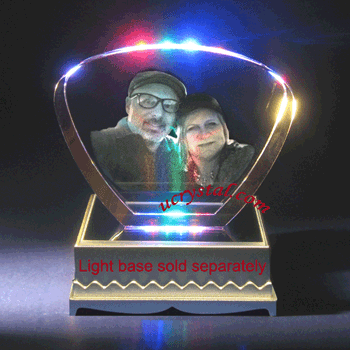 When you engrave a special photo taken on your wedding day inside this beautiful photo crystal, especially with your own touching words, your loving memory will be surely cherished for years to come! 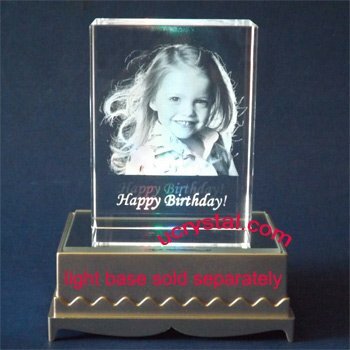 It can also be used as a great gift for Christmas as well as Father’s and Mother’s Day. 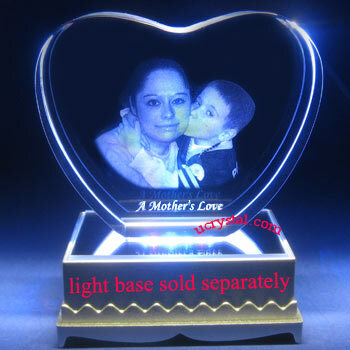 The example on the left is to celebrate Mother’s Day. 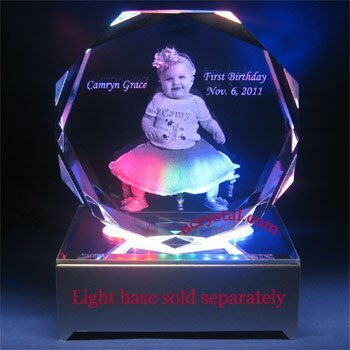 Mom, all these years I kept asking and you kept giving. 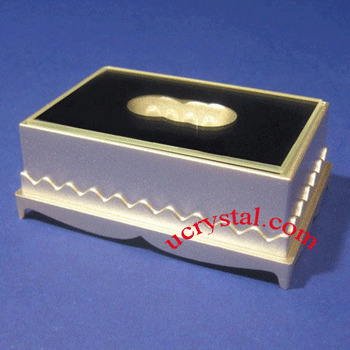 Now it’s the time for me to deliver this elegant heart crystal to let you know that all you have done for me is greatly appreciated. 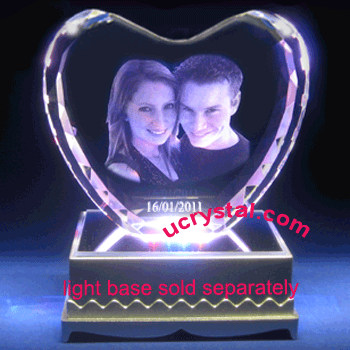 There’s a large selection of personalized 2D or 3D photo crystal hearts at Ucrystal. 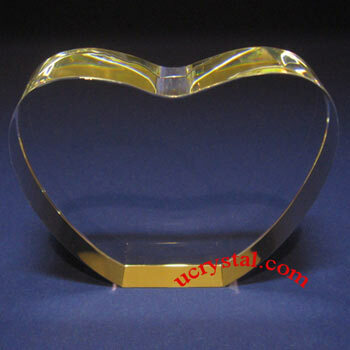 Heart, straight edge without base.